We are one of the few companies in Europe who master the cold-forming technology of metal spinning (impact extrusion, metal chasing). 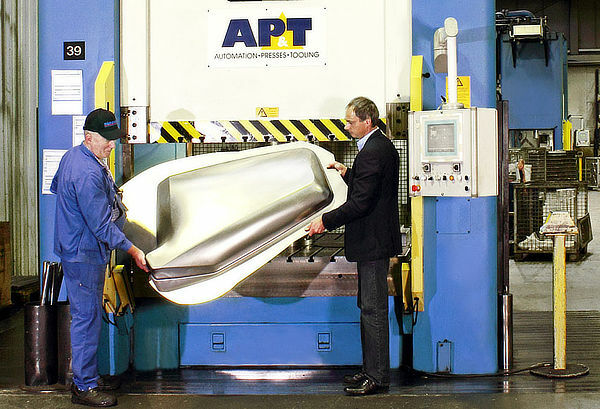 Thanks to this highly-efficient method, we are able to manufacture thin-walled, rotationally symmetrical and seamless hollow bodies made of sheet metal in a highly economic and energy-saving manner – even in small series. We produce medium and large series of sheet metal parts using all steel materials as well as aluminium, magnesium, zinc and nonferrous metal using deep drawing technology in accordance with DIN 8584. 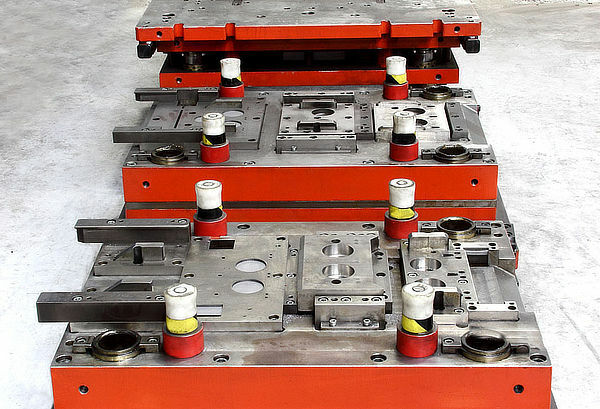 We are hereby able to produce innovative moulded parts with wall thicknesses of 0.5 to 15 millimetres on modern presses that exhibit press forces of up to 600 tonnes. 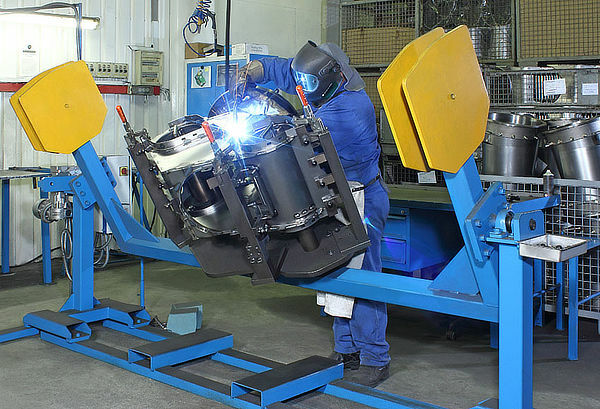 Widely diversified expertise in the fields of engineering and welding technology makes us one of the prime addresses for manufacturing assembly groups made from stainless steel, steel and light metals. Because we master numerous different welding techniques, we employ the best and most cost-effective technology for your project. 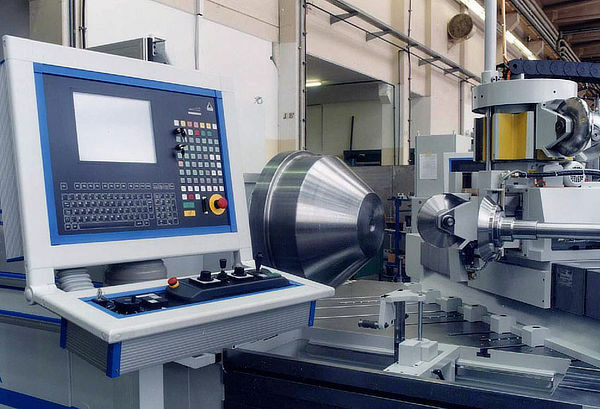 The experience gained from the production of some hundred thousand forming tools, the in-house tool production, a state-of-the-art engineering department (3D CAD) and highly qualified staff form the cornerstones of our extensive expertise in the fields of engineering and product development. 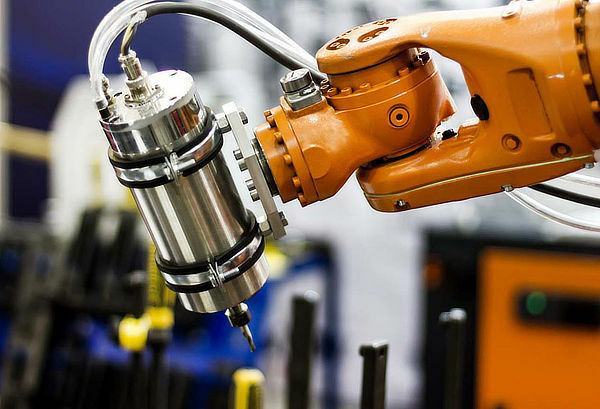 The highly-automated robot welding of construction parts and assembly groups made of stainless steel, steel and aluminium is one of our core competencies. We master various welding technologies and are certified as a professional welding company in accordance with ISO 3834-3 for the production of safety-relevant construction parts. At our laser technology centre of excellence, we cut and weld steel sheets with wall thicknesses of up to 6.0 millimetres using modern facilities of renowned manufacturers. Our technological highlights include our 3D laser cutting machines which we use to process moulded deep-drawn components with great precision and extremely quickly. 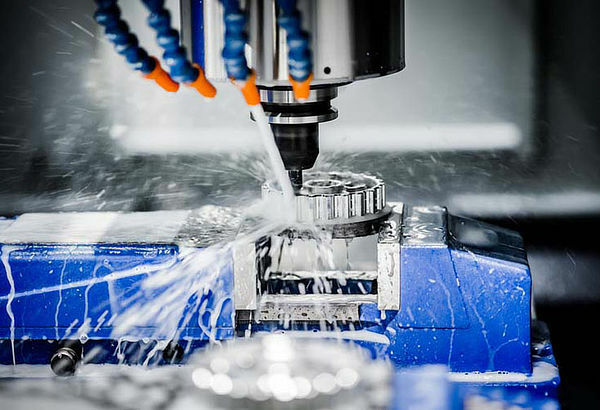 CNC technology a central role in various areas at Helmut Rübsamen. 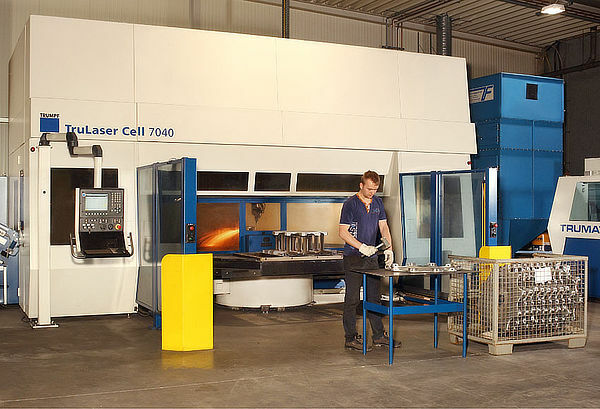 In our tool construction, CNC mill centres manufacture highly precise cavities, seamless sheet metal parts are produced at state-of-the-art CNC machines during metal spinning, and we cut and weld using innovative CNC technology at sour laser technology centre of excellence.